My husband introduced me to Steampunk. I love the music of Abney Park. 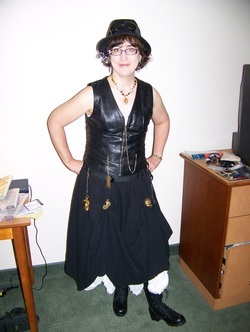 I also have attending Steampunk events since I have fun dressing up and making jewelry. Think Victorian era but in the future and you have Steampunk. We're mostly artistic DIY techy types.